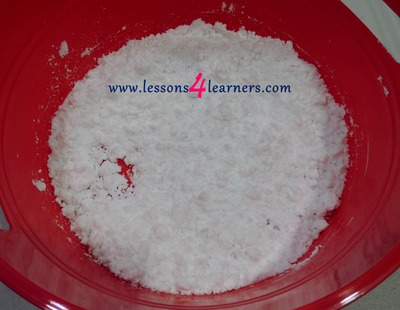 * Lesson plan objective and assessment can be adapted to use this activity with infants or toddlers. 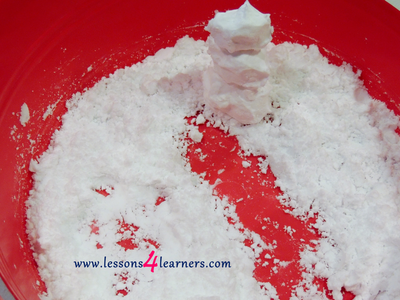 ​*Adapt this lesson for infants by putting the “snow” in a large secured zip-top bag for a sensory bag. Activities and materials encourage children to develop their senses. Read The Snowy Day by Ezra Jack Keats. When finished ask children what they think about snow. Discuss some things you can do in the snow, and what Peter did on the snowy day. 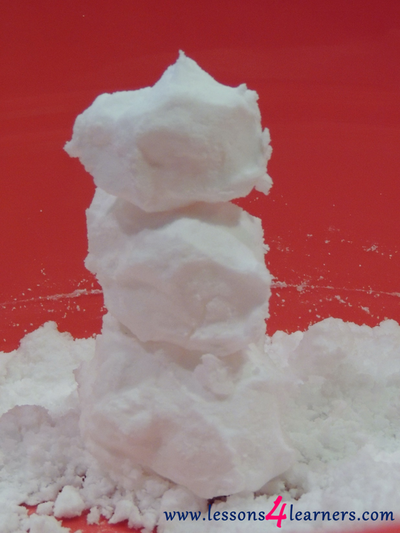 Create “snow” by mixing equal parts baking soda and shaving cream and allow children to play with it, making snowballs, snowmen, and even using small toys in the “snow.” Be sure to supervise children during this activity so they do not eat the "snow." This lesson involves the senses of touch (texture, temperature), smell (the scent of the shaving cream), and sight. 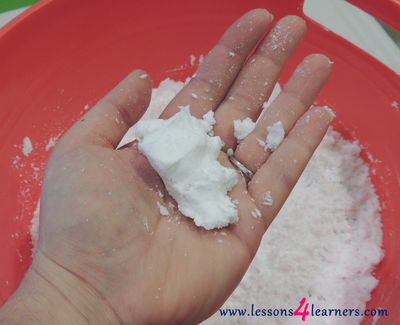 Ask children how the “snow” felt. Was it like real snow? Was it cold to the touch? Did it make fluffy snowballs or hard snowballs? Ezra Jack Keats has a specific style of illustrations where he takes many different mediums and combines them to create a stunning display. While his illustrations are aesthetically pleasing and colorful, he also uses his mediums wisely to convey emotion and tone. In his pieces the characters are often inner-city children just as Keats was and they are also diverse in outward appearance. Keats combined his childhood experiences with inspiration that came from a 1940 Life magazine photograph clipping of a young African American boy who was anxiously awaiting an injection. In his words, “Then began an experience that turned my life around; working on a book with a black kid as hero. None of the manuscripts I’d been illustrating featured any black kids—except for token blacks in the background. My book would have him there simply because he should have been there all along. Years before I had cut from a magazine a strip of photos of a little black boy. I often put them on my studio walls before I’d begun to illustrate children’s books. I just loved looking at him. This was the child who would be the hero of my book.” This was Ezra Jack Keats’ creative expression choice that would inspire him to write many books, including The Snowy Day which became an unintentional icon for the African American child during a tumultuous time in history. ​Children begin expressing themselves from infancy on, using sounds, actions and more. Older children may use paint, pastels, crayons, or other materials to express themselves artistically. This is one of many outlets that children should be given to express themselves. An infant can explore new sensory experiences as a means of self-expression or imitate sounds to express themselves. These are seen as ordinary interactions but they are also learning experiences that will support their self-awareness. An older child can explore artistic mediums such as painting, music or dance. Self-expression may come in the form of art, music, writing, or actions. Early childhood classrooms are the perfect space to support a child’s blossoming self by allowing them a safe and structured place to express themselves in any way they wish. Exploring their own self-expression may look like child’s play because it is! Children learn through play and learn through exploring and this is where they discover the most about themselves.